Looking for a way to add value and appeal to your home without breaking the bank? Hardwood floor refinishing restores the beauty of the wood without the time, cost or hassle of installing new flooring. Our hardwood flooring finishing process takes about three days (depending on square footage) and brings life to your worn, tired floor. With almost thirty years of experience in hardwood, we understand the intricacies of hardwood floor refinishing. Hardwood floors can only be sanded a handful of times, so we use a state of the art belt sander and pay careful attention to the grit of our sand paper. To top it all off, we use a high commercial finish to extend and preserve the life and beauty of your floors. If you’ve looked into hardwood floor refinishing, you’ve certainly come across the term “dustless." You’ve probably also noticed that we don’t use that term. Why? 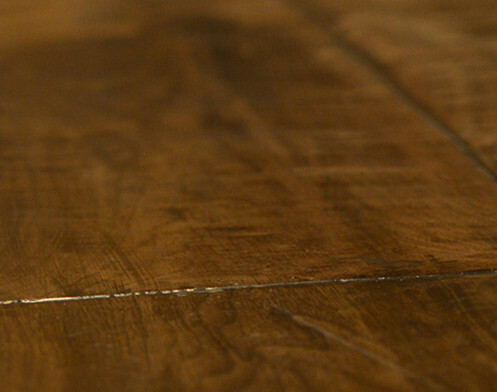 In our experience, there’s no such thing as truly dustless hardwood flooring finishing. A good dust containment system reduces the particle output up to 75 or 80%, but 100% dustless? We haven’t seen it. We also don’t believe this should be an upgrade. Reducing the amount of dust generated in the refinishing process is a good thing. It reduces mess, cuts down on cleanup time and is healthier for you and our employees, which is why we have a top of the line dust reduction system and we use it on each and every job; no extra charge. Whether you buy unfinished hardwood from us or not, we can help you with more than installation. We’re also happy to assist with the final step: sanding and finishing your unfinished boards to give them the perfect look for your home. So let’s get started. Beautiful, like-new hardwood is waiting beneath the scuffs and scrapes of your current floor. Call us at (408) 264-3500 or fill out our convenient web form and we’ll get started breathing new life into your floors with our hardwood floor refinishing services.